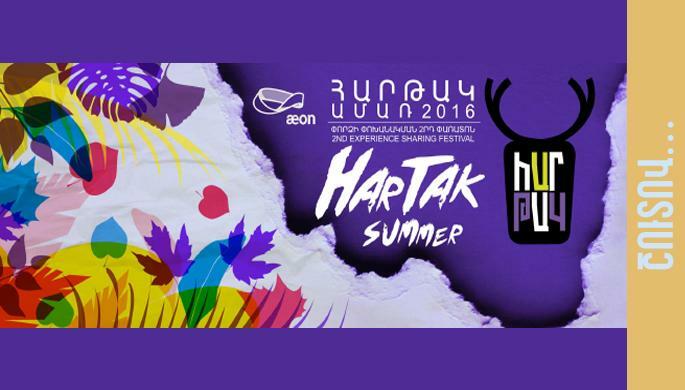 The Hartak Experience Sharing Festival will be held for the second time in Yerevan from 25th to 26th June. Welcome to Hartak Festival, an exciting and innovative festival held annually in Yerevan, Armenia centered around a series of workshops, discussions and events, where you can exchange skills, experiences and knowledge with other like-minded, creative people as part of a new, developing community! For more information please call 060 273 000.